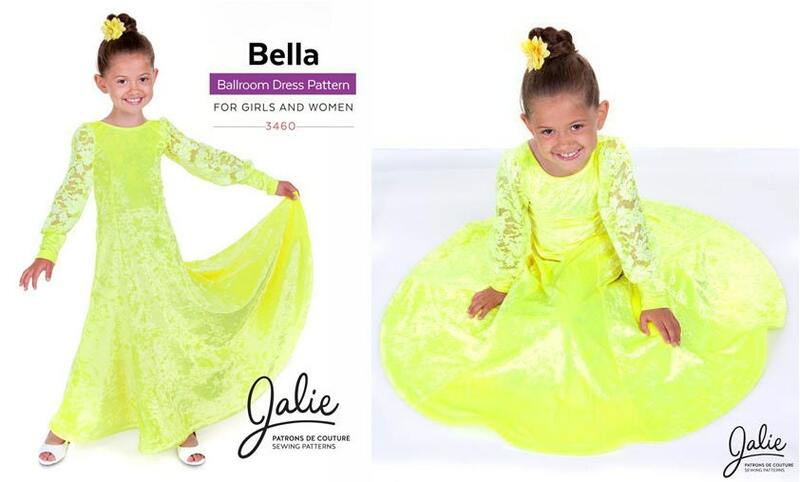 Jalie sewing pattern 3460 "Bella"
Pattern includes 22 sizes in 1 package. 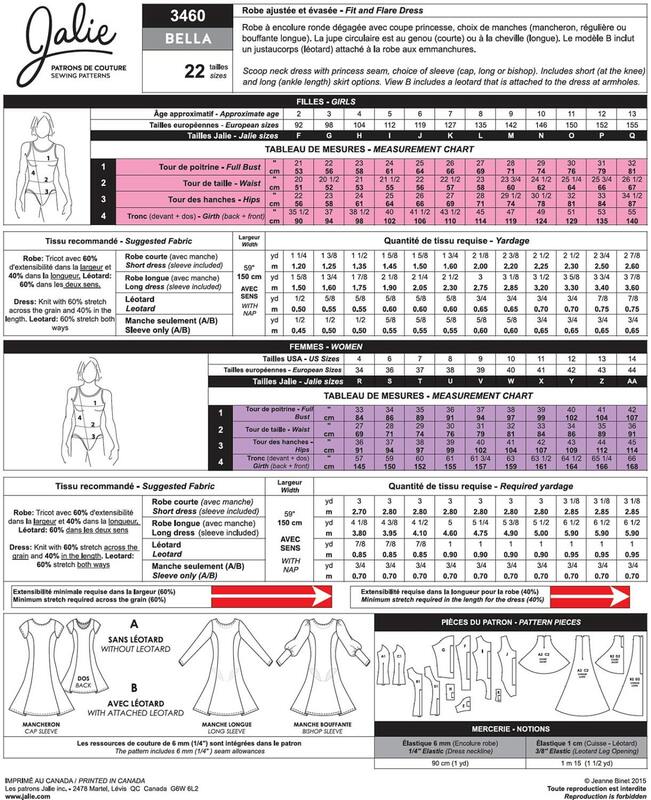 Pattern condition: Uncut, factory folded, complete with instructions printed in French and English. Scoop neck dress with princess seam, choice of sleeve (cap, long or bishop). Includes short (at the knee) and long (ankle length) skirt options. View B includes a leotard that is attached to the dress at armholes. 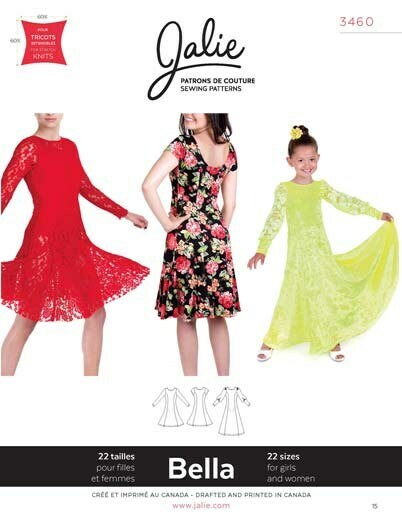 A pattern for an everyday, twirly dress or juvenile ballroom dancing.